Being a journalist for a car magazine or TV Show can be the best job ever, as you might get to drive some awesome vehicles that most people don’t even see in real life. The pay might or might not be good, depending on the country and how popular the media you represent actually is. 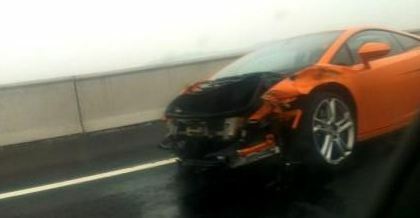 What is universally true for all reporters is the risk they take every time they get behind the wheel of a rare or expensive car. 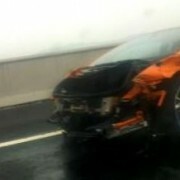 Crashing such a vehicle might make you want not to get out of it alive, both because of the financial damage you just brought on the manufacturer and because of the feedback you will get from the community. 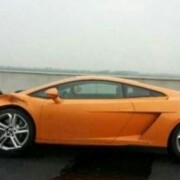 A Chinese reporter felt that on his own skin, after managing to destroy a brand-new 2013 Lamborghini Gallardo LP560-4. 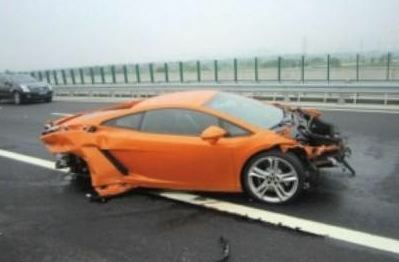 He took the vehicle on a test drive down a wet highway and in one fell swoop, cost Lamborghini (or the insurance company) 536.000 USD. 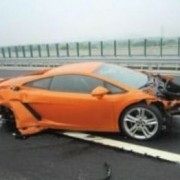 The front and rear of the Gallardo have been wrecked, even losing one wheel on the way, righting off the car. 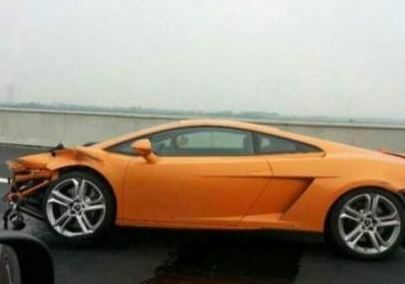 The only thing left is stripping it for parts.